So I’ve been a quite bit busy lately, which is why literally no videos came out at all on this channel. 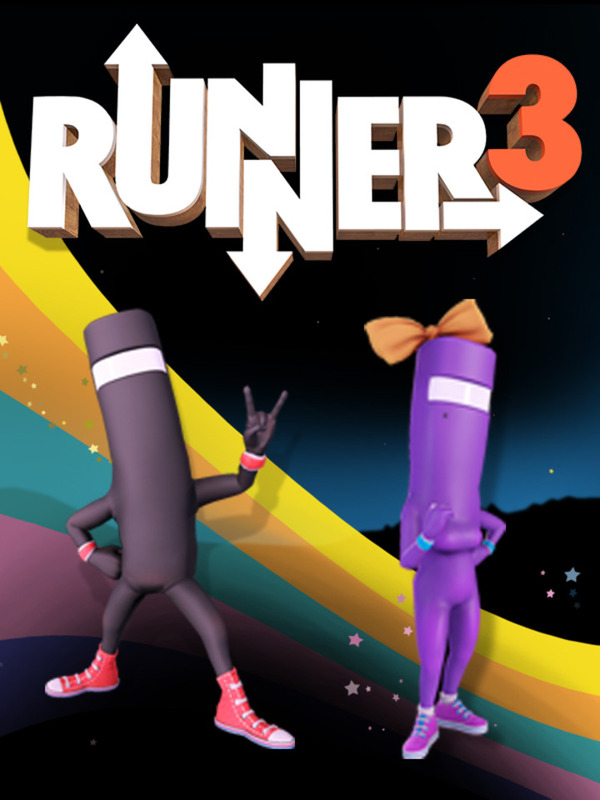 Runner3 is a game that was requested by some viewers over on the Red Value Gaming Discord server, which is why I decided to go and give it a shot. As it is an expensive indie game with the premium price of $30, it would actually be quite interesting to see what this game had to offer to justify that price tag. Alas, I didn’t actually plan on making a video per se, but I ended up finding some things I wanted to talk about on this game. Therefore, I welcome you to Value Review, where we’ll ask ourselves the question, if Runner 3 is really worth its price. Now, a quick introduction to the gameplay. The game’s character autoruns and the player’s job it is to make sure the character doesn’t die by maneouvering him past the obstacles. The character is able to jump, double jump, slide, stomp, punch and also dab (I mean dance). One mistake and you’re out, having to replay the level from the start or from the checkpoint if you’ve hit it. This sounds overall quite simple, but there is quite a bit of depth within the controls. Holding the jump button down will let your character fall slower for example, giving you a lot more control on the characters movement direction. This overall makes for fairly simplistic gameplay, which makes it harder to justify the rather premium indie price. Is there something to prove the opposite? As it turns out, I ended up quite enjoying the game constantly wanting to play another level. Just getting through it and be done with it was oftentimes on my mind with the game especially at its beginning. But even though I failed so often on each level, it felt strangely rewarding to play it and I wanted to know why. Psychology is a fun topic. It is also the key to understanding the question on why the game ended up being fun. For us modern humans, we are constantly surrounding by stimuli. If we want to feel good, we can eat a Burger, go on Youtube and watch a video, drink alcohol, chat to a friend online or just browse the web. All of these are quick, but also unnatural fixes that don’t actually bring long-lasting joy. The real satisfaction comes with working hard on a difficult task and perserving through the end, which makes you feel accomplished. Precisely this feeling of accomplishment is what the game tries to have its players to have and is the key ingredient of making this game rewarding to play. Although I said that, good video games are actually required to provide a constant stream of fun to the player by continous stimulus. Otherwise they would be, simply put, not be fun and also unable to compete with other media which provides a quicker fix with even less effort required. This bring us to the question: how can one design a game that can both provide a constant stimulating stream of fun, but also let the player feel accomplished when playing it? The answer lies in how the game presents the key elements of its gameplay. This leads us into the audio-visual feedback of the game. If it is good, you usually don’t notice it, but a lack of sufficient sound and art design will make a game appear dull. Not so much in this game. Playing it, you will notice the gold bars floating around the map. They can be a bit difficult to pick up at times, but doing so gives you that nice little short burst of stimulus. It feels good, because the game has a very rhythmic tone to it. Every single pickup is accompanied by a sound effect being played. The sound effect fits the rhythm of the background music, whose beat also matches the periodic movement of the gold. This is a very small detail, but it is why it sets this game apart from others. This satisfactory sound effect along with the background track and the visual representation make the game feel awesome to play through and though, not just when completing the level. And this reward cycle of giving you short bursts of fun along the way and a big feeling of satisfaction after completing a section of the game is an important point of game design. Runner 3 nails this aspect. To be honest, this kind of pattern can even be seen in the Mario games. There, the coins take on the role of the gold bars of Runner 3. Collecting coins feels satisfactory and completing a level gives you the necessary sense of accomplishment. The audio-visual content is important for how fun the game ends up being. I believe it is necessary to always take a deeper look at it. Especially, as it is a good indicator of the effort that has been put into the game and in turn its value to the consumer. While the graphics of the game were fine for the most part, the Nintendo Switch version had framedrops below the 60fps in busy sections. The game overall doesn’t seem particularly optimised, as the graphics can seem a bit dull in some places. For example the grass in the earlier levels of the game. It is hard to blame the developers of this game though; for grass, it is hard to both make it look good and to make it run efficiently on computer hardware. For example, even Super Mario Odyssey used a simple texture for its grass in the woodlands level and it looked comparably worse to the rest of the game. I think we need a video on how to make grass look both good and run efficiently. You can look forward to a video on grass in your subscription boxes soon enough. This brings us to the value of the game. Does it offer enough to be worth the $30 price tag? If you are someone who just wants to get through the main game and be done with it, probably not. The main playthrough took me around 6 hours to complete, which brings to $5/hour. It’s up to your standards to determine if that is worth it to you. On the other hand, the asking price isn’t entirely unreasonable. Every single level has an alternate “Gem Path”. This additional challenge unlocks after beating the level the first time. Then, there are also “Hero Quests”, which you can pick up on alternate paths in some levels. Obtaining the quest, you can now search for additional collectibles in other levels, which further increases potential gameplay time. And of course, the game features 10 very difficult bonus levels in addition to the 30 of the main campaign. These will extend your gameplay time considerably if you’re motivated enough to do them. A cherry on top: apparently there is an additional retro game available at some point. Well, the game certainly advertises that a lot, but I didn’t manage to play it enough to get to it myself. Alas, the price of the game is probably fine if you intend to complete it to its fullest and get every drop of gameplay out of it that you can. But, the big question here is if you actually should pay for all the parts of the game if you only want to play the main story. $30 is a lot and I think the price point actually ended up hurting the game. In this case, why not split the game into two parts? For those people only interested in the main campaign, why not offer it to those for $20? Then, for those interested in playing more an additional $10 could be charged as a replayability package gaining access to the hard levels and to the alternate paths of the game. Would that really be so bad? When price points are flexible, wouldn’t we get a better deal and more choice out of this? Another example: a game that comes with Single- and Multiplayer components, why charge a person for both parts if they only intend to play one of them? Of course, there is obviously a limit to this as we really want to avoid a mobile situation where you have to pay a Dollar just to progress at any given point. What do you think about this though? Let me know in the comments below. Runner 3 was an enjoyable game, but I personally believe it is overpriced for what it offers.